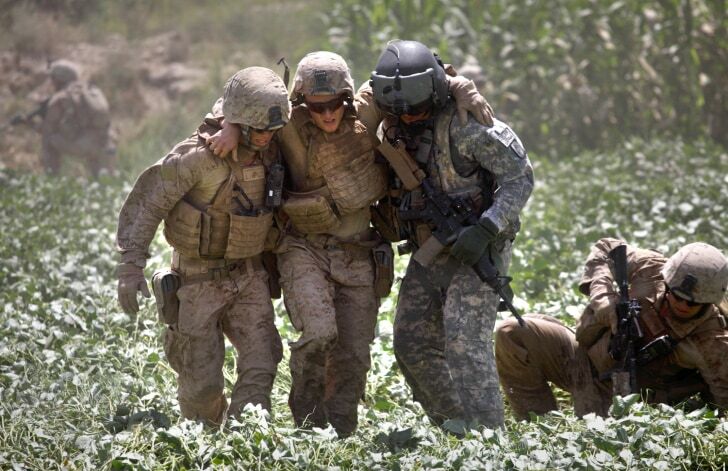 A U.S. Marine, left, and U.S. Army Flight Medic Staff Sgt. Richard Jarrett, right, rush U.S. Marine Pfc. 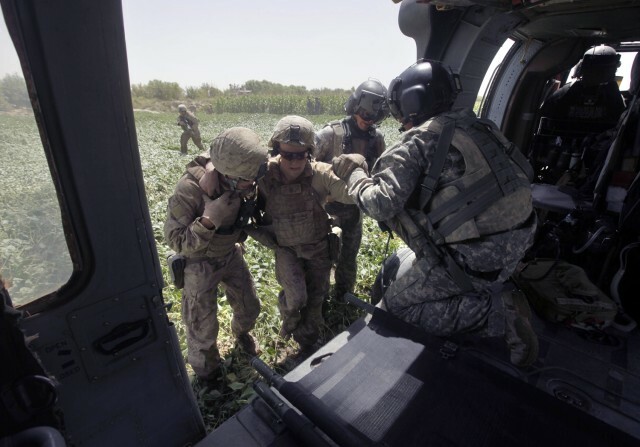 Justin Turner, center, of Flower Mound, Texas, who was wounded in an IED attack, across an irrigated field deep with mud to a waiting medevac helicopter, west of Lashkar Gah, in southern Afghanistan.